Google Penguin Penalty vs Unnatural Link Penalty? 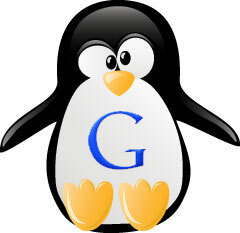 Home > Google News > Google SEO > What's The Difference Between Google Penguin vs Unnatural Links? There is still a huge amount of confusion in the SEO space around how the Google Penguin update differs from the unnatural link penalties being sent out. I don't blame anyone for being confused, I am confused. We know that Penguin is automated and the unnatural link notifications are manual. So the clear distinction is if you receive a warning in webmaster tools for unnatural links, then it is that. If you saw a drop in rankings when Penguin launched or refreshed then it was Penguin. But if you didn't have any of those details, how can you tell if a site was hit by Penguin vs unnatural links by just looking at the linkage data? Unnatural links is more about link networks, paid links, blog networks and unnatural link patterns. Penguin is more about low quality links with weird looking anchor text, plus other SEO related link building techniques. Previous story: Poll: Google's Page Layout Algorithm Recoveries?